Pair correlations of financial instruments. 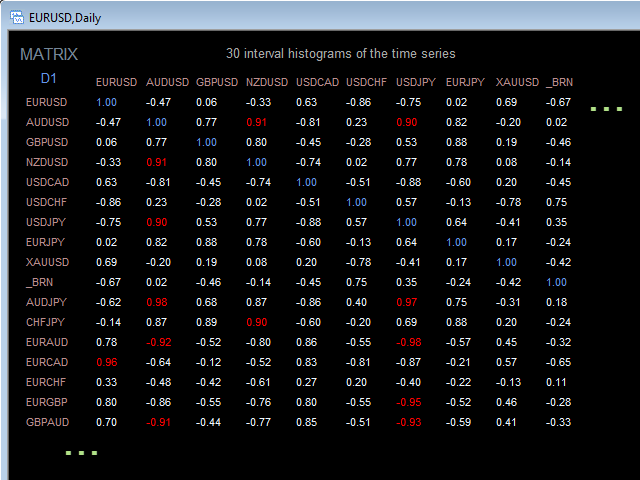 Pair correlations of financial instruments are calculated once when an interval histogram is opened on the given timeframe. The algorithm for calculating pair correlations of financial instruments is built in the indicator. 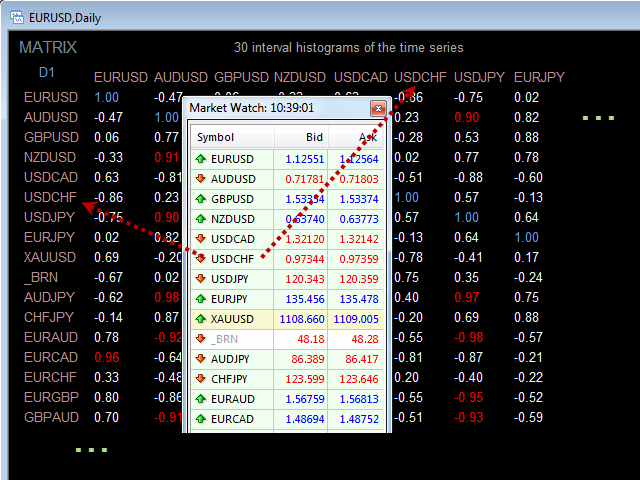 Time series of financial instruments should be synchronized by a date and period of the corresponding timeframe. The indicator is meant for monitoring pair correlations of financial instruments. It is recommended to apply correlations to price areas with one level of dynamic market balance. Modified the indicator code in order to increase its target efficiency in the calculation of the pair correlation coefficient of the financial instruments. If the time series of the asset pair are not synchronized in the based of the broker, for example, usually by bar opening time, then the indicator generates its own price series to calculate the correlation coefficient. The code has become almost "ideal" for the calculation of correlation coefficients. The only requirement is absence of "large holes" in the history of the financial instrument time series. 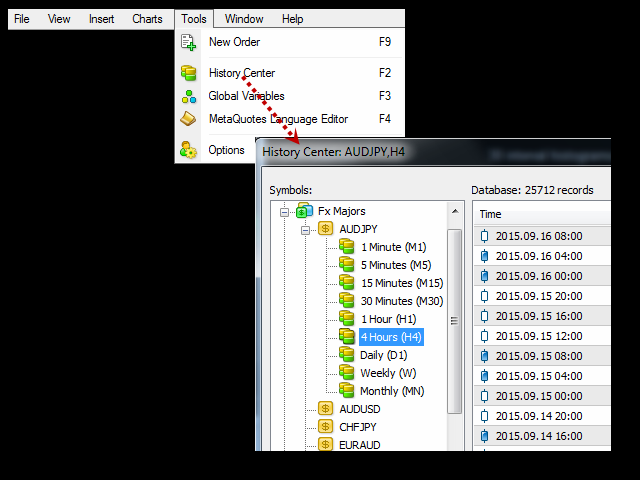 The test case for all timeframes has been checked in the Excel tables. Added the inputTotalSymbols variable - change the amount of symbols for the indicator calculation.